This archive holds all posts form March 2008. Steve Lounsbury, Julie Haché and I will be presenting FriendsRoll and TopLinks at DemoCampOttawa8. This will be our first public presentation of these plug ins. So, we’re hoping for some good feedback on both the concept and how we could improve the implementation. The other presentations include: chide.it, LoyaltyMatch, GlobeEx Pro, Trade Wars Rising, DevShop and FaveQuest. Thanks are due to Ian Graham and the other organizers who are making it possible for the Ottawa tech/startup community to gather and celebrate innovation. If you’re in Ottawa on the evening of March 31, come out to DemoCamp and join in the discussion. A new twist on an old scam? Good day sir. I am a newly signed up member with you meetup.I am into software development for bloggers and podcasters for the past 10 years.I saw you group and its activities i was interested and decided to join to make a change and a growth. I own a small website called [xyz]. site, where visitors can listen to the audio or download it. Our main objective is to help podcasters and blogers to make money for their work and talent.we have been sponsored by a non-profit organisation so we charge no body who signs up with us. All you have to do is for your members to provide me their profile url in your meetup group when they sign up .they are to send it to [zyx] or [zyxw] . You will recieve the sum of $10 per person who signs up. Your podcasters or bloggers will recieve $500 for every blog or podcast they publish in that website : [xyz]. sign up will not be charged. This offere has been granted also to some USA blogging groups. The spelling and syntax errors look suspiciously similar to correspondence I’ve been receiving from a banker in Nigeria asking for help in moving his millions out of the country. Is this a new twist on an old scam? 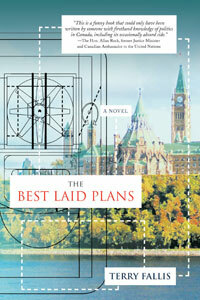 Terry Fallis‘ novel The Best Laid Plans has been short-listed for the 2007 Steven Leacock Memorial Medal for Humour. Terry and his novel are keeping some pretty impressive company. The other short-listed novels and authors are: Douglas Coupland The Gum Thief, Will Ferguson (Spanish Fly), Scott Gardiner (King John of Canada) and Ron Wood (And God Created Manyberries.) Past winners of the award include: Robertson Davies, Earle Birney, Pierre Berton, Harry Boyle, George Bain, Richard J. Needham, Max Ferguson, Farley Mowat, Mordecai Richler, Stuart McLean, and W.O. Mitchell. Terry originally launched the novel through a podcast reading. I read the book when Terry published it and I have to say it kept me chuckling well into the evening. Pat Gossage, the founder and now Chairman of Media Profile, talked to me recently for the series of video interviews with heads of Canadian PR firms that I’m conducting for the Canadian Council of Public Relations Firms. What makes Media Profile a special place? You can view the video of the complete interview with Pat Gossage on the CCPRF Weblog. We’re planning a special Third Tuesday Toronto on April 2. For the past two years, David Jones and Terry Fallis have recorded the Inside PR podcast every week without fail. That’s 104 episodes without a single missed week. And throughout this time, they’ve enlightened and entertained us with news, insight and humorous reflections on social media and the world of public relations and corporate communications. And not only are they still going strong, but with episode 101, Dave and Terry gave the podcast fresh energy by adding an Inside PR panel. So far, the panelists have included Martin Waxman, Keith McArthur, Julie Rusciolelli and Michelle Sullivan. David and Terry also were among the original group of Third Tuesday Toronto organizers, along with Ed Lee and Chris Clarke. So, what better way to kick off the Inside PR’s third year of podcasts than by recording Episode 105 live at Third Tuesday Toronto? Register to attend to join Terry, Dave and the Inside PR panelists, for the recording of the 105th. episode of Inside PR. Bring your questions and comments and plan to participate in what should be a fun and memorable podcast. As always, a special note of thanks to our sponsors, CNW Group. CNW covers the hard costs of Third Tuesdays, making it possible for us to stage these events free of charge to participants. Thank you CNW! Recently, Montréal joined Toronto, Ottawa, Vancouver and New Brunswick in having its own Third Tuesday social media meetup. I had an opportunity to talk with Michelle Sullivan, the driving force behind Third Tuesday/3e Mardi Montréal, about why she wanted to have these events in Montréal. Michelle talked about the bilingual community that makes Montréal such a vibrant city and the unique opportunity to bring both English language and French language social media enthusiasts together in one room to talk about their shared interests. By the way, the second Third Tuesday/3eMardi Montréal is taking place tonight. According to Michelle’s post, tonight’s session will feature “‘la gang’ de Pourquoi bloguer dans un contexte d’affaires. Trois des dix auteurs de cet ouvrage collectif, dont Marc Snyder, Claude Malaison et Martin Lessard, nous parleront de l’importance grandissante des blogues.”I plan to be there tonight. If you see me, please make a point of saying hello. Last Friday, we launched FriendsRoll and TopLinks, two WordPress plug ins that the development team at 76design and I hope will give new life to the blogroll concept. This is the first in a series of posts in which I plan to write about our experience launching these plug-ins and what we learn through this experience. (If you are looking for background, you may want to check out my two previous posts about the launch and about our objectives and how we will measure success. We intended to promote FriendsRoll and TopLinks exclusively through social media. So, our first step was to set up the analytics and tracking tools that would help us monitor conversation and traffic. Installed Google Analytics to provide us with insight into how the FriendsRoll and TopLinks site is performing and where our traffic is coming from. Set up Technorati and Google Blog searches for FriendsRoll and TopLinks and subscribed to the RSS feeds for these searches so that we would be alerted to conversation relating to the plug ins. Set up a profile on Radian6 to provide us with the ability to conduct additional analysis of the conversation taking place through social media. We set up the FriendsRoll and TopLinks Website the week prior to the launch, testing it and refining the copy. 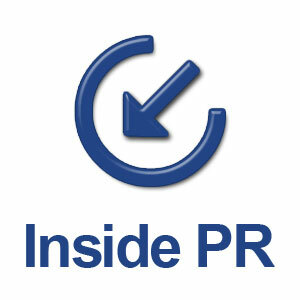 On Friday, March 7, I wrote an initial post on ProPR about the plug ins and how we hoped they’d help bloggers to effortlessly show up to date information on the blogs they link to most often and also enable readers of their blogs to join their FriendsRoll. I also sent out a Twitter message pointing to the post. Then I hopped on a plane to SXSW. And that explains a question you’re probably asking. Why would we launch something on a Friday? I had hoped that we’d be able to launch at least a week earlier. However, the code just wasn’t ready until Friday. And because I was going to be seeing so many blogger friends at SXSW, I wanted to be able to tell them about something that had passed the vapourware state. So, a Friday launch it was. So far, nothing from my blogging friends attending SXSW. But I hope that’s because they all have moved onto Twitter or Utterz which seem to have become the preferred means for reporting on SXSW this year. The TopLinks plugin was downloaded 7 times and the FriendsRoll plugin was downloaded 4 times. Two people who installed the TopLinks plugin on their blogs – Sandy Kemsley and Mark Evans – contacted us to offer comments, ask questions and report problems. Their feedback was particularly valuable because they spotted problems with the initial implementation of the FavIcons feature and the anomalies in the look and appearance of the plugins when installed. Sandy was a particularly thorough tester and gave us several rounds of feedback. Observation: The culture of generosity really does prevail in social media. The feedback offered by Sandy and Mark was invaluable and even more appreciated because of the positive way it was offered. As a result of Sandy’s and Mark’s user feedback, Steve Lounsbury and Julie Haché, crunched through the weekend and were able to produce release 1.1, which addressed the issues reported to us. This was posted for download late Monday. We’re still not 100% happy with the way we’ve solved the FavIcon problem and we’re discussion other approaches that may be taken in the next release. We’re happy with the early reaction to these plugins. In a way the small numbers of visitors and downloads have been a blessing. The people who tried it out proved to be generous and helpful – ideal Beta Testers. As a result of their feedback, we were able to fix problems before they became a problem for others. Yes, we have very small numbers and limited attention so far. But we weren’t expecting the world to issue a collective gasp. What counts to us is the experience of those who find these plugins useful. And we’ll also learn from people’s reactions whether we are addressing a real pain point. What do you think of FriendsRoll? Of what we’re doing and how we’re doing it? This is an opportunity for us all to learn together. So, please leave your thoughts, suggestions and questions as comments on this post. But here’s one post that just so chock full of valuable information for bloggers that I just have to point to it. Lorelle VanFossen has posted an extensive list of Blog Resources for English Language and Blog Writing. Guides for better writing, avoiding clichés, English errors, Emoticons(! ), double entendres, acronyms – you name it and Lorelle has compiled a list of references to help us. Thank you Lorelle. This post is priceless. The Moblogging session at SXSW turned into a show and tell on how to use Utterz. Jeremiah Owyang led a group of us into the Blaughaus. Our mission was to interview a participant and post it using Utterz.